Geraldine DeGraffenreidt is a highly respected, much loved maternal outreach worker in Chatham County, North Carolina, who has, through the sheer force of her generous personality, won the trust of young mothers and fathers and given them the confidence, skills, and opportunities to become responsible, loving parents of healthy children. 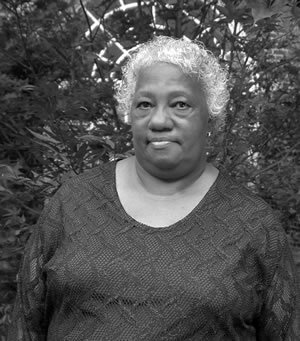 After raising six children of her own and serving as a foster parent to eight more, Geraldine volunteered to provide pre-natal counseling to poor and isolated mothers in her rural county, where teen pregnancy is common and more than a third of all babies are born out of wedlock. Her outreach efforts proved so successful that when her program’s foundation funding ended, the county health department kept her on and her achievements served as a model for a statewide initiative to lower infant mortality. The key to Geraldine’s unusual success has been a powerful blend of personal warmth, firmness, and tenacity, combined with a deep knowledge of her community. She did not simply identify what kept her county’s poorer residents from attending pre-natal classes and obtaining job training; she and a colleague personally transported young parents, bought them lunches when necessary and took care of their children while they attended classes. Young mothers soon came to rely on Geraldine’s assistance, but the fathers of their babies remained disengaged. So, after spending her days with the mothers, Geraldine spent evenings tracking down the fathers and recruiting them to participate in a support group for which she personally raised the funding. That group, Focus on Fathers, encourages young men with little understanding of responsible fatherhood to play larger and more supportive roles in the lives of their children, to complete their high school education and to find jobs. Last year, her Focus program helped half of its young fathers find employment. Geraldine is not just an office worker. She is there for her clients, whenever they need her. On a recent Christmas Day, for example, a young woman called to say that she had run out of food and fuel, had four sick children, and no place to go. Geraldine did not hesitate. Putting her own holiday on hold, she went into action. Together with a colleague, she borrowed heaters from friends, taped up broken windows in the trailer and arranged for emergency food assistance.